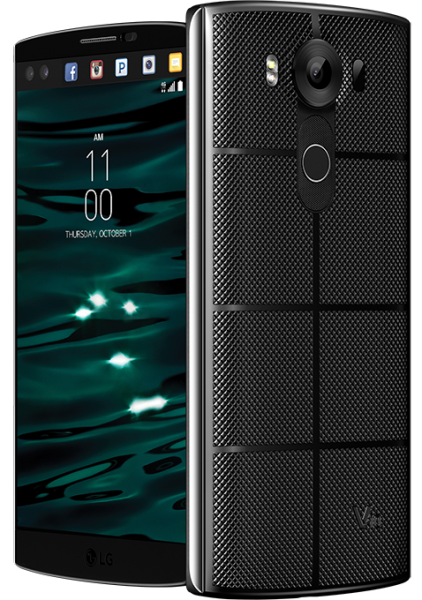 The LG V10 is an ultra-premium Android smartphone that looks great and functions great too. LG has added some unique and innovative features to the V10 to spice things up. LG has added a first-of-its-kind second screen entirely dedicated for notifications and a pair of 5 MP front-facing cameras for those selfies. In addition to these, the LG V10 has various other features like Quick Charge 2.0, expandable memory, removable battery etc. All these features can be used to the fullest with proper accessories. Listed below are the top 11 must have LG V10 accessories. 1. Verus High Pro Shield LG V10 Case: The Verus High Pro Shield LG V10 Case is a luxurious smartphone case for a premium smartphone. The Verus High Pro Shield LG V10 Case looks good with the brushed metal texture and also provides ample protection to the LG V10 from drops, bumps and scratches. 2. 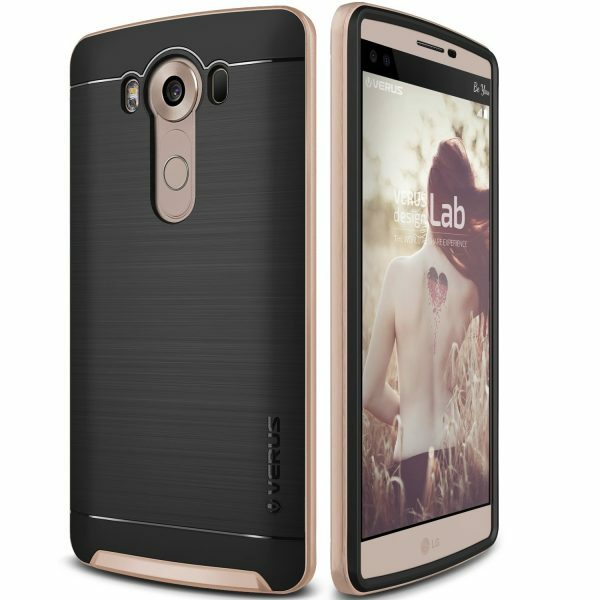 Skinomi TechSkin LG V10 Screen Protector: The Skinomi TechSkin LG V10 Screen Protector is easy to install and made from self-healing, military-grade TPU. This HD clear film protects the touchscreen from scratches, dust etc. 3. 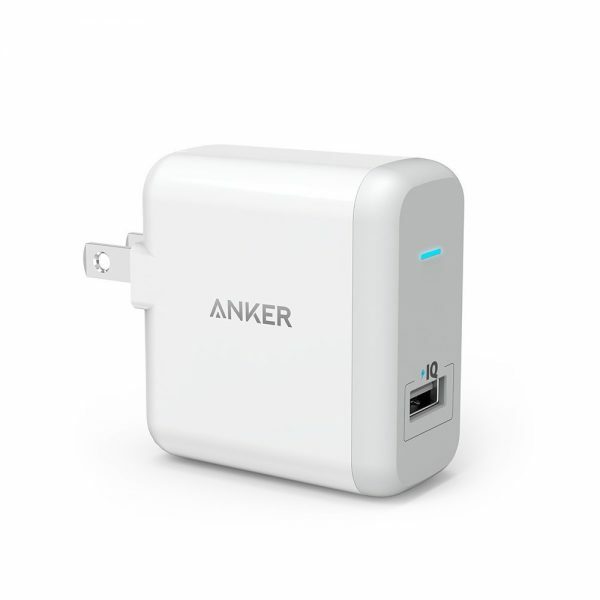 Anker PowerPort+ 1 Quick Charge 2.0 18W USB Wall Charger: The LG V10 uses Quick Charge 2.0 technology to offer fast battery charging. The Anker PowerPort+ 1 18W USB Wall Charger pumps out a whopping 18 Watts to any Quick Charge 2.0 compatible device. 4. 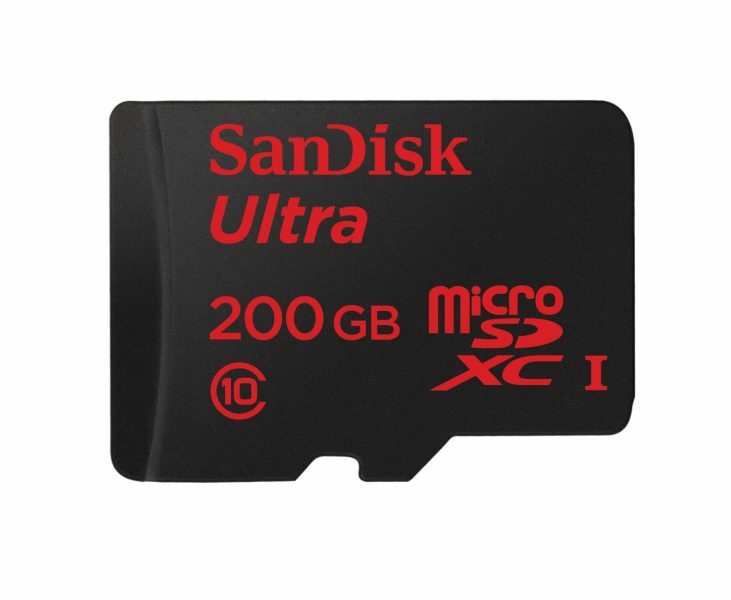 SanDisk Ultra 200GB microSDXC UHS-I Card: The LG V10 is capable of supporting up to 2 TB microSD cards! But, don’t get too excited since we don’t have a microSD card anywhere near that capacity. A SanDisk Ultra 200GB microSDXC UHS-I Card would do just fine. 5. GripTight GorillaPod Stand For Large Phones: For a smartphone that lays huge emphasis on videography and editing features, the GripTight GorillaPod Stand is a must have accessory. 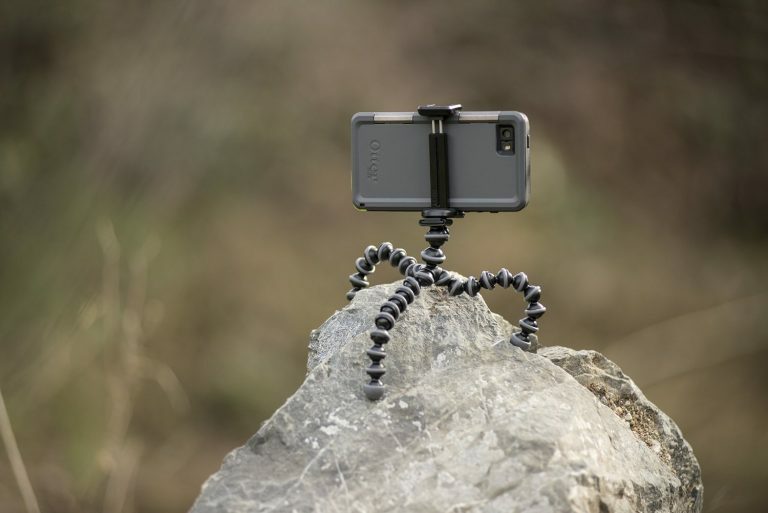 Unleash your creativity and capture amazing moments on your LG V10 in never before known angles with the GripTight GorillaPod Stand. 6. Anker PowerCore+ 10050 Portable Charger Power Bank with Quick Charge 2.0: Pair your Quick Charge 2.0 capable LG V10 with the Quick Charge 2.0 capable Anker PowerCore+ 10050 Portable Charger Power Bank for blazing fast charging and recharging. 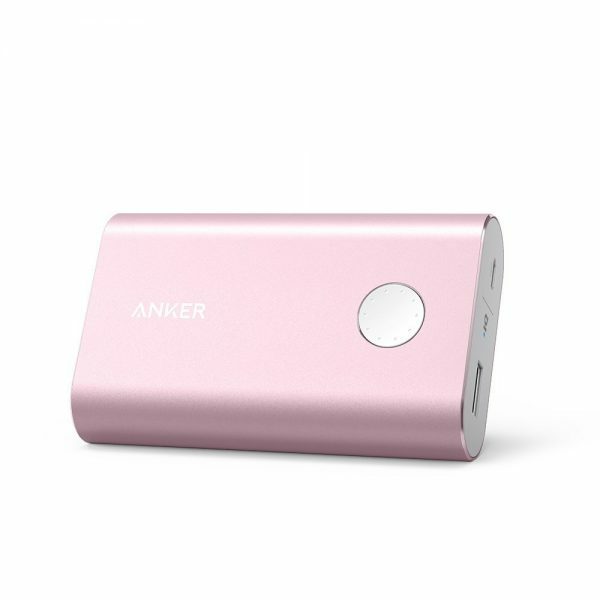 The Anker PowerCore+ 10050 Portable Charger Power Bank has 10,000mAh battery capacity capable of fully charging your LG V10 almost thrice. 7. iOttie Easy One Touch 2 Car Mount Holder for LG V10: The iOttie Easy One Touch 2 Car Mount Holder lets you use your smartphone hands free while driving. 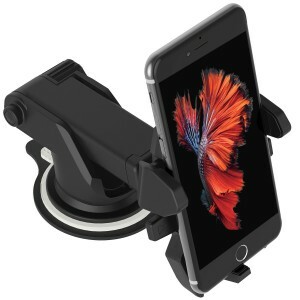 The iOttie Easy One Touch 2 Car Mount Holder is easy to use and can be stuck on the dashboard or windshield. 8. 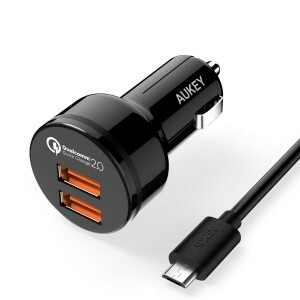 Aukey Quick Charge 2.0 36W 2 Ports USB Car Charger Adapter: The Aukey USB Car Charger Adapter features two charging ports that both support Quick Charge 2.0. Juice up your devices in a very short time with fast charging. 9. 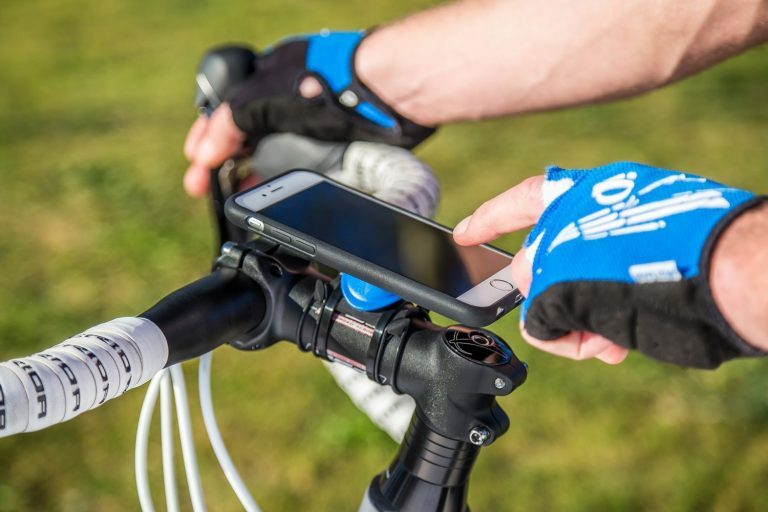 Annex Quad Lock Universal Bike Mount Kit: The Annex Quad Lock Universal Bike Mount Kit lets you mount any smartphone on your bicycle/motorbike. The bike mount uses a simple turn and lock mechanism to secure your device. 10. Adonit Jot Pro Fine Point Precision Stylus: If a stylus is your favorite mode of input on a touchscreen device, the Adonit Jot Pro Fine Point Precision Stylus is a great choice. 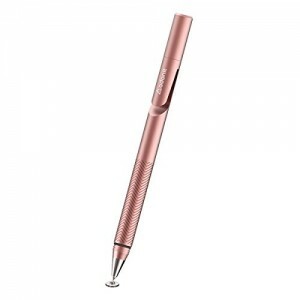 The Adonit Jot Pro Fine Point Precision Stylus is as precise as a ballpoint pen and looks similar too. 11. Mediabridge USB 2.0 Micro-USB to USB Cable: The Mediabridge USB 2.0 Micro-USB to USB Cable can be used to sync data as well as charge. These are the top 11 must have LG V10 accessories.